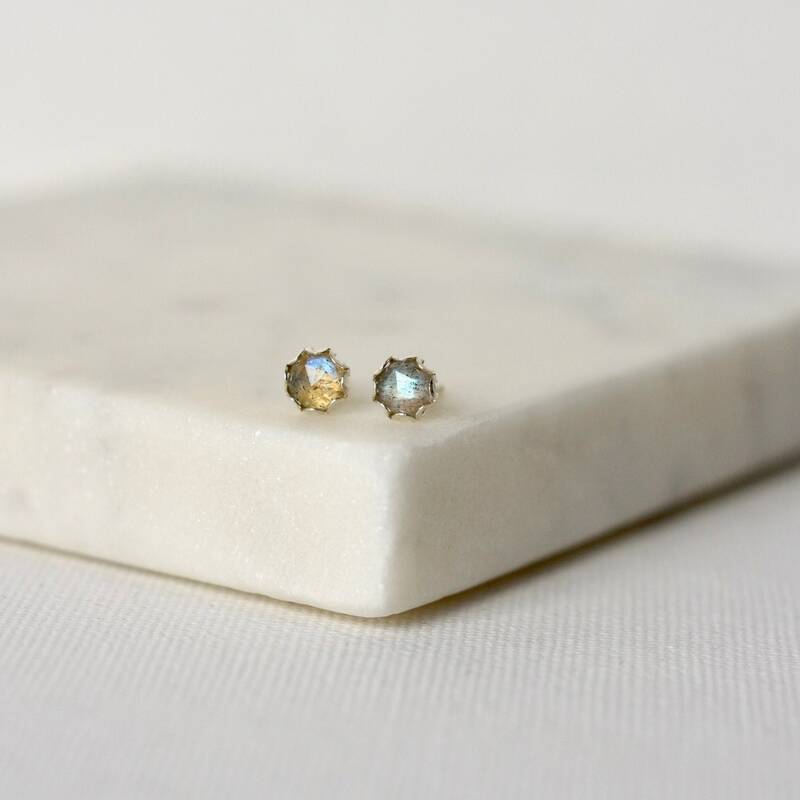 Labradorite is one of my favourites stones for that pretty blue flash! These faceted labradorite are excellent quality and have lots of fire and sparkle. 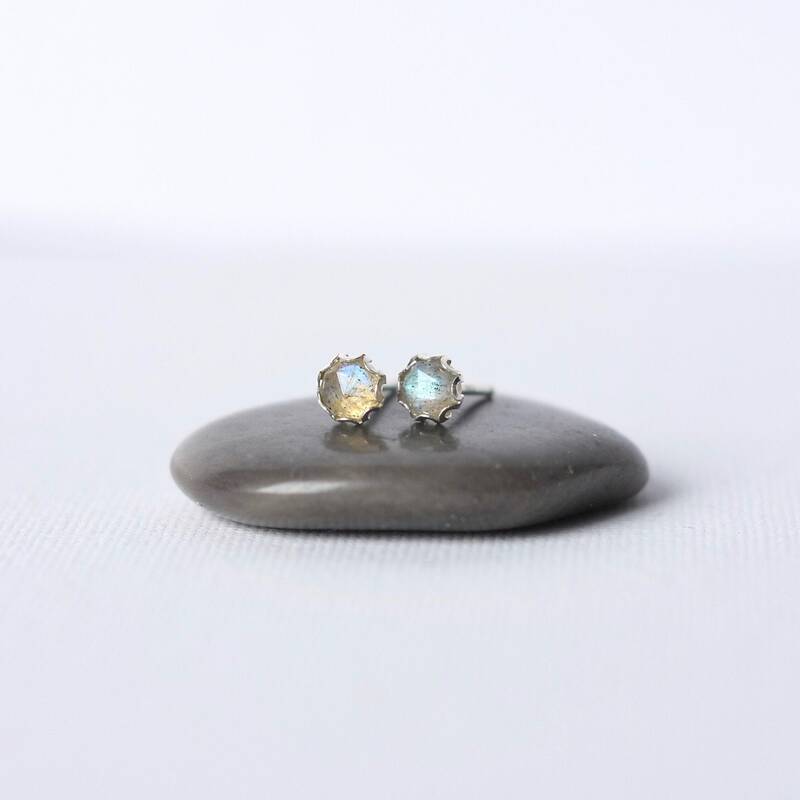 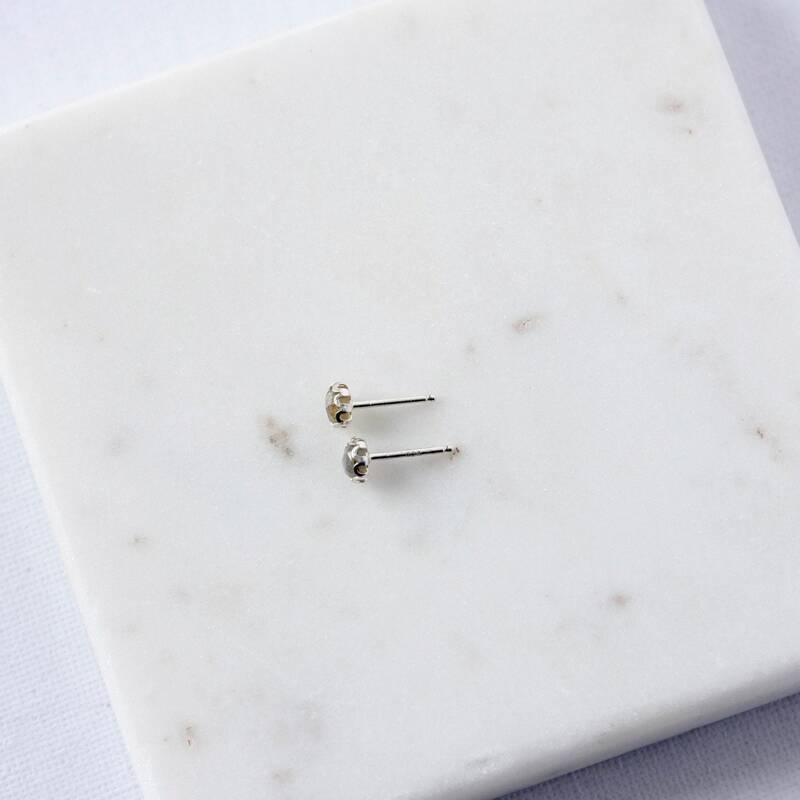 The stones are 5mm wide and are bezel set in a sterling silver filigree setting with soldered sterling silver posts held by sterling backings. 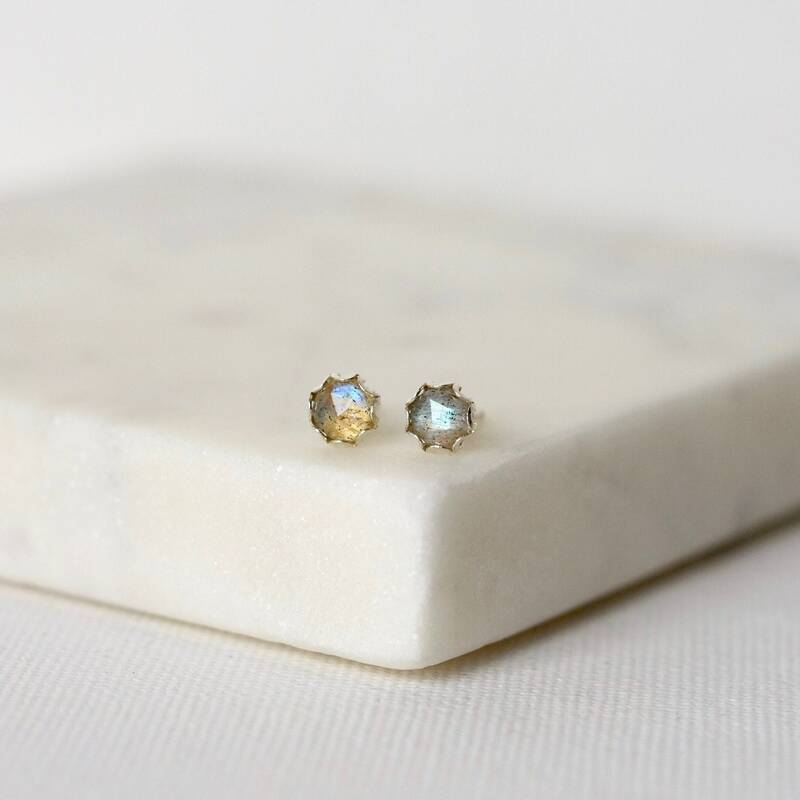 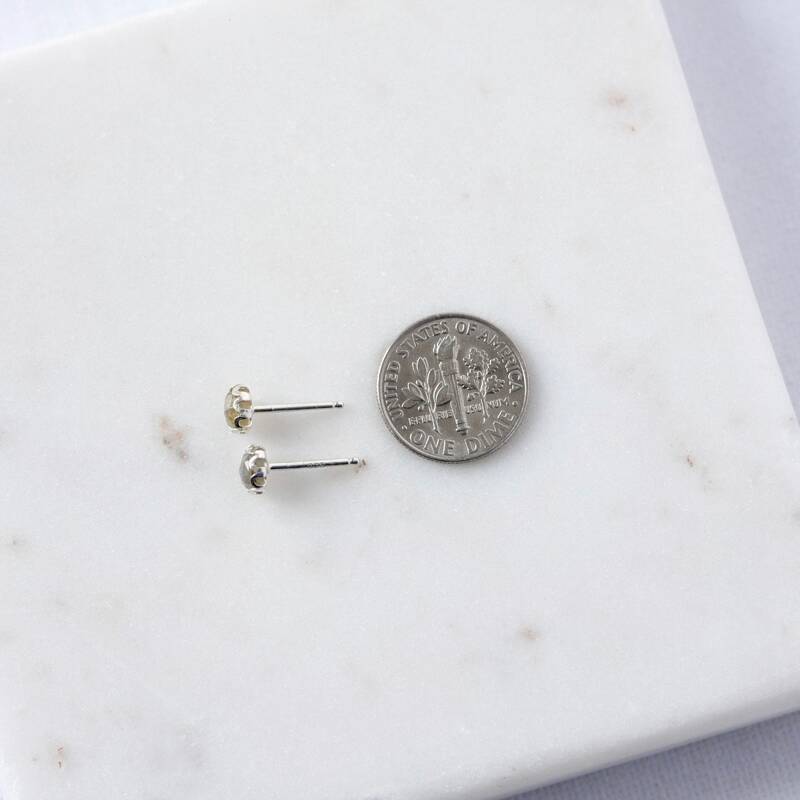 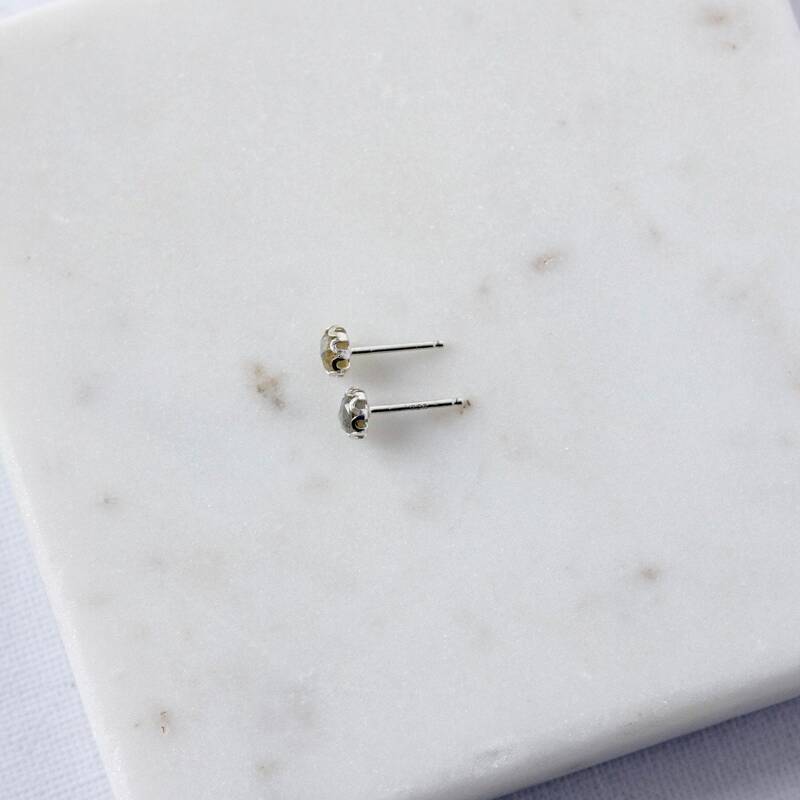 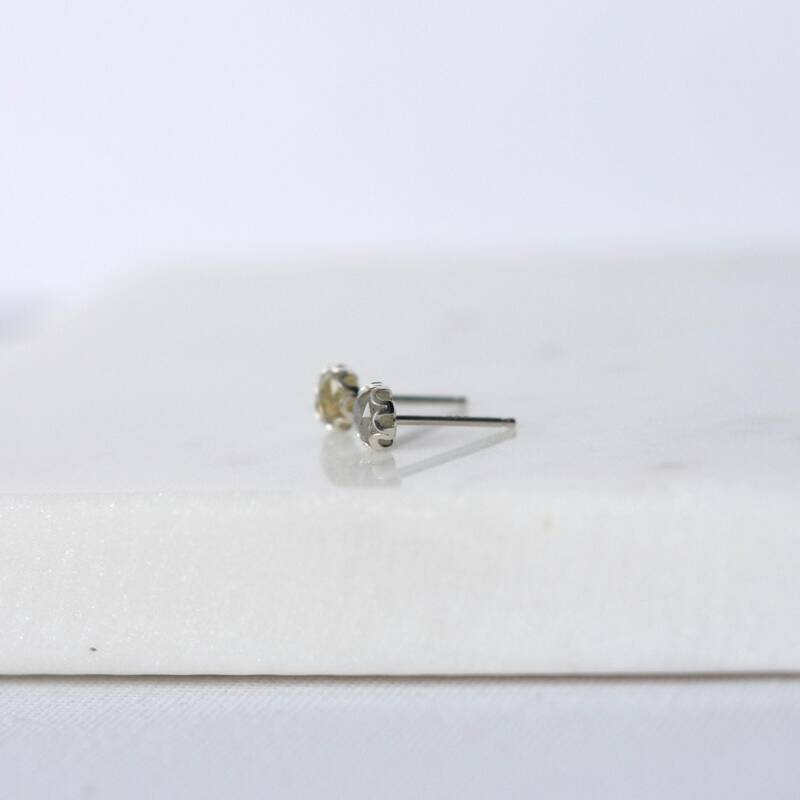 These dainty earrings are lightweight and very comfortable to wear making them perfect for everyday.